There are few things more frustrating than being told your highly anticipated package will be delivered some time between 8am and 6pm. Not knowing when the package will arrive restricts your plans for the day, especially if you really want that new device as soon as possible. UPS has finally decided to solve this problem by rolling out a real time parcel tracking service that allows customers to see the location of their packages on a map. It won't show the specific route that a UPS driver will be taking to get the parcel to your house, but it will give you a good idea of how far away the parcel may be. The unfortunate thing about the "Follow My Delivery" service is that it's only available for UPS' more expensive parcel services: UPS Air, and UPS Worldwide Express. The company has said that real time parcel tracking will be coming to other delivery tiers in the future, though the initial roll out is focused on premium services. 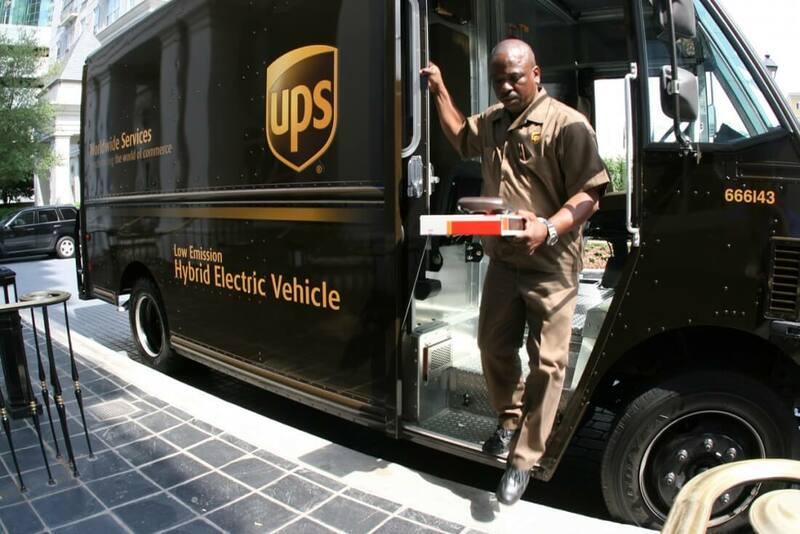 To view the tracking information, parcel recipients will have to sign up for a free UPS My Choice account, after which they can view the real-time position of the driver on their smartphone or PC. The My Choice account also gives users the ability to reroute packages to other addresses or UPS Access Points. It's pretty surprising that many mail companies around the world haven't rolled out something like this, especially considering the internet age we're living in, but hey: it's still good to see UPS modernize their parcel delivery service. I can just picture people purchasing online, watching their package tracking, and then saying something like "come to daddy" while doing something stupid such as the "Running Man". There's nothing more frustrating than staying home, waiting the whole day for a package, just to later read that a delivery attempt was attempted but that nobody was home. It's usually the USPS though. UPS is much better. Nice now I can watch when they drive in front of my door, don't ring door bell or call me and leave in attempt to steal my goods. They did it twice and only reason I got my goods was that I went to their website to check my self, didn't even leave a note that they "tried" to deliver my goods. Never ordering anything that's "delivered" by ups. What will be more interesting is when we can actually capture those images and offer them to UPS as proof that the delivery man really did deliver it to some other person that choose to keep it! UPS finally allows customers to track packages on a map in real time. They finally ALLOW it? You make it sound like it was forbidden before. I think more likely it was just pretty expensive to pull off - especially since there's really not a lot of value in knowing exactly where your package is on the road as opposed to simply 'In Transit' which is what we're used to seeing. It doesn't really matter the exact minute your package shows up at the local distribution facility - it's not like your package is going to get it's own truck and special delivery. It's pretty surprising that many mail companies around the world haven't rolled out something like this, especially considering the internet age we're living in. Not knowing when the package will arrive restricts your plans for the day, especially if you really want that new device as soon as possible. Makes you wonder how people ever lived back when you had to order things from a catalog by filling out a form and mailing it in. Oh goodie...how long will it take a potential "terrorist" to figure out how to make a bomb, then track it and when it gets to where they intend to set it off, push a button and BOOM! "You're late... I see your fat *** was at the McDonalds for over an hour. Maybe you should do a little more jogging to customer doors and then you'll do your job properly." I would be much more interested in some sort of shock/impact sensor so when you get your package and it looks like it's been dropped from an airplane without a parachute at least the thing would record it's not your fault. Sadly, only until he or she reads your post. Relax though, I'm sure they'll have bomb sniffing UPS drivers by the time this goes live.. This made me think of the Sears Catalogs that came before Christmas. Going through it and circling every item 20 times. As nice as this is, I'm happy enough with what DPD frequently gives me, which is "You are delivery 12, your driver is on delivery 2. Your delivery will arrive between 11:02 and 12:02". Literally all I care about is 'am I next? Is there time for me to go for a shower? Can I leave the flat?' I don't need to follow the driver on a map, I don't care where they are, I just care if they're gonna be here reasonably soon or not. Gee, I simply get an email notice saying it'll be delivered between 10 am & 2 pm & its usually there. I just want to know which state my package is in. Real time tracking is a bit much. BTW - nice three year thread bump.